Under its toy division, Sakar has entered into the ‘Wheeled Goods’ market with a brand-new line of bikes, trikes, scooters, skateboards, roller skates, wagons, helmets, and protective gear– both licensed and proprietary. Sakar has teamed up with licensing partner MGA Entertainment, Inc. adding L.O.L. Surprise!™ to their licensed line of youth electronics. The unboxing phenomenon of L.O.L. Surprise is a fun line of toys in which every product contains multiple surprises and a collectible doll. L.O.L. Surprise is the #1 selling toy of 2017 in the United States, and Sakar’s range of products mirror the excitement surrounding the brand. Sakar International has created a new branded-line of youth electronics inspired by the hit preschool series, Beat Bugs, which is currently available at Target. The preschool series which premiered on NETFLIX in August of 2016, is inspired by songs made famous by The Beatles, sung by today’s contemporary artists, to illustrate typical pre-school learnings such as teamwork, getting along with others and friendship. Sakar is excited to announce their launch of a range of Barbie consumer electronic accessories debuting this Fall with long-time licensing partner Mattel. The Barbie Molded Walkie Talkies are a great brand addition to the already successful Sakar Walkie Talkie line. Pair it with a Barbie Flashlight and it is the perfect set for adventurous kids! Sakar Hatches New Line of Hatchimals Youth Electronics with Licensor Spin Master! Following the continued success of Hatchimals, Sakar International is excited to showcase their new Hatchimals line of youth electronics available now at Toys “R” Us. Sakar’s innovative youth electronics include adjustable kids-safe headphones featuring everyone’s favorite Hatchimal characters and built-in volume limiter that provides clear sound at a safe noise level for kids! Sakar has teamed up with licensing partner MGA Entertainment to add Num Noms and Project Mc2 to their licensed line of youth electronics. Num Noms are scented novelty collectibles that girls can mix and match in a ton of variations. This creates a fun and unique experience to trade with friends. Sakar’s youth electronics build upon the engaging aspect of the brand by introducing a line of scented products for endless fun. 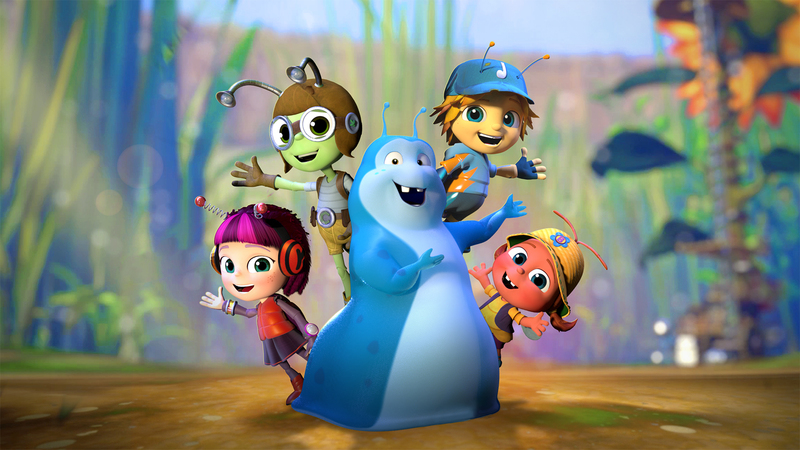 Today, Sakar International announced a multi-national licensing agreement with Centa IP to produce a new line of youth electronics based on the Netflix original series, Beat Bugs, hitting retailer’s shelves throughout North America, the United Kingdom/Ireland, and Australia/New Zealand in 2017. Sakar International and Warner Bros. Consumer Products, on behalf of DC Entertainment, today launched their DC Super Hero Girls line of karaoke machines, adventure kits, walkie talkie, headphones and more. Sakar International announced today a new licensing agreement with Cartoon Network for the Emmy® nominated animated series The Powerpuff Girls, with product to launch for spring 2017. Sakar International announced today a new line of youth electronics to launch in 2017, based on the critically-acclaimed, hit, comedy-action, animated TV series, Miraculous™: Tales of Ladybug & Cat Noir. The ZAG/Zagtoon series is airing in the USA on Nickelodeon (8:30AM Saturdays), and has global TV coverage with TF1 in France and Disney Channel throughout EMEA, LATAM, and Korea reaching over 80 countries worldwide.